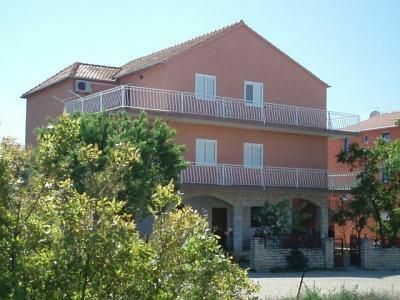 Apartment for maximum five persons, approximately 50 square meters in house with several apartments. The apartment is air conditioned also has free wifi. Position of this apartment is on first floor. View from the apartment is on the garden decorated with Mediterranean plants. Distance from the sea is 200 meters. Extra bed 1, owners live in the house, final cleaning included in the price.